When the snow clothes its white coat on the charming landscape around your holiday home in Salzburgerland sets, it is once again time for your winter fun to begin on your holiday in Austria. Nordic walkers can be delighted about scenic walks along the fabulous winter hiking trails. Snowshoe hikers can appreciate the extensive selection of natural routes. After an exhausting march to the summit, the ski-tour walkers enjoy the magnificent descent through the soft powder snow of the Zell slopes. Hikers reach the protruding Schmittenhöhe, for example, comfortably with the help of Sonnkogel and Areit cable cars and cross-country skiers will be enthralled by the 3 km long Kitzsteinhorn glacier trail at 2,800 meters altitude. 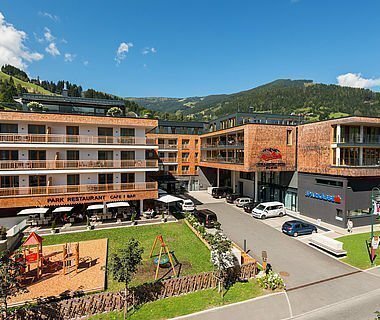 Make a holiday in the unique region of Zell am See-Kaprun, convince yourself of the myriad ways in which your sports and recreation program can be shaped according to your wishes during your holiday in Austria. 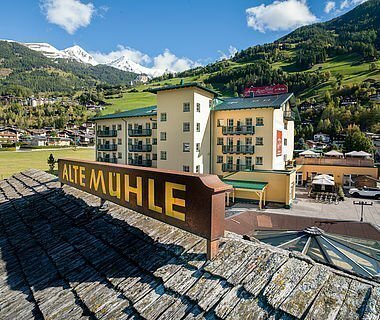 The charming Alpine town of Zell am See, the famous Kitzsteinhorn and the popular Schmittenhöhe are just waiting for you to be discovered during your vacation in the Salzburg province. Ski trails stretching 138 kilometers that is divided into 57 ski runs make the skiing region of Zell am See – Kaprun to a snow pleasure a superlative experience. The black marked ski trails in the Region of Zell am See-Kaprun is 29 km long and a challenge for every skier. Red routes lead from the Kitzsteinhorn (2,452 meters) up to the station of the Gletscherjet 2 at an elevation of 1,976 meters above sea level. Directly from the summit station, you can ski down a blue-marked beginner trail. 130 km long ski runs ensure that you spend a diverse and exciting winter holiday in Zell am See. The Schmittenhöhe skiing is a cynsoure of ski sports for professional skiers around the world. One of the most popular ski slopes of the Alps is at 2,000 meters high Schmittenhöhe. From the top, you have the opportunity to ski down via the Schmittental up to the outskirts of Zell. Snow-safe valley runs with 1,000 m height difference make the Schmitten to an Austrian ski resort of an extraordinary class. The white gold is guaranteed - 90 percent of the slopes in European sport region of Zell am See-Kaprun can be artificially covered with snow. The traditional ski huts pamper the guests with Austrian delicacies and make the famous refreshment impetus to a feast for the senses. 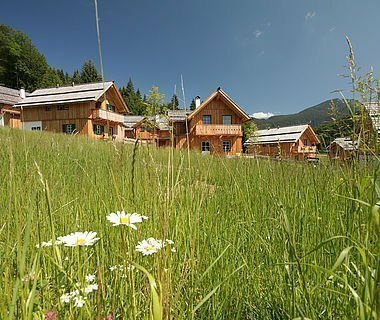 200 km perfectly groomed cross-country trails, including connection to the Pinzgau and Saalach valley trails, are available to you in the holiday region of Zell am See-Kaprun. Cross-country skiing keeps young, because hardly any other sport simultaneously involves as well as strengthens and protects so many muscles and joints. The smooth glide through the glistening snow, through breathtaking landscapes, is the source for fitness, wellbeing and a good figure. Extensive cross country tour to strengthen the cardiovascular system and bring fresh momentum into your soul life. Try it out! Take time for your well-being and skating through the romantic winter landscape in the wilderness around the lake. Beginners may get the appropriate equipment in the nearby rental sports stores. The professional staff are available anytime for information on the various routes and to help with the lending of available equipment. The Kitzsteinhorn Glacier trail is always worth a visit. On the glacier plateau at altitude of 2,800 m, there is a 3-kilometer long cross-country skiing trail. The exceptional conditions on the glacier make it possible to use the level trail all year round. Let the sun shine on your face and enjoy the exceptional training. With the Kitzsteinhorn mountain and valley ticket you can reach the summit station and the plateau glaciers without effort. 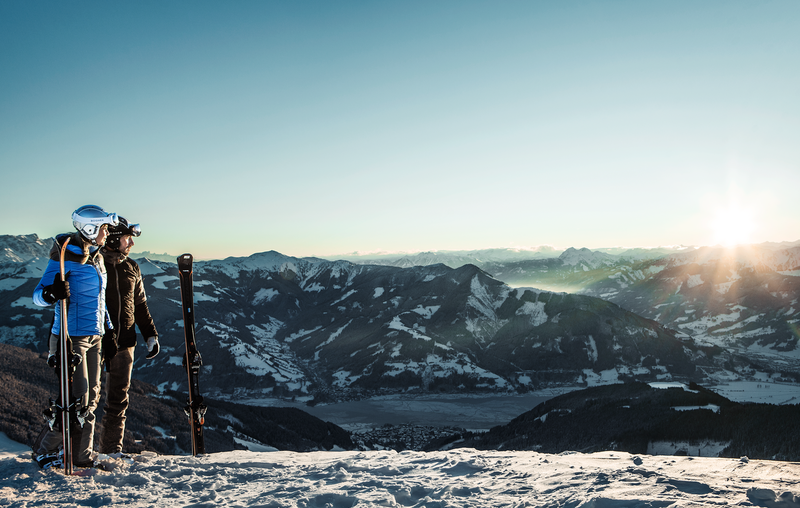 Properly groomed slopes and beautiful views of the surrounding mountain ranges can annually attract snowboard riders from all over the world to Zell am See. In one of the three snow parks on the Kitzsteinhorn, at a snowy altitude of 2,500 to 2,900 m above sea level, there is a six-meter-high halfpipe. The approximately 30,000 square meters large Mellow Park for snowboarders and free-skiers that is equipped with over 70 obstacles, especially delights the hearts of courageous sports fans. Freestylers and snowboarders will be restlessly enthusiastic about the range of possibilities to free-ride in the region of Zell am See-Kaprun. The Back Country of Langwied cable car, which boasts numerous gullies, a varied terrain and many natural pipes is considered to be the Mecca for snowboarders and freestyle skiers. Another highlight: the Magnetköpfl (magnet head) route. Here fans will find the perfect powder snow conditions to ski and swing along the soft snow down the slope. The route has a length of about 1200 m and leads below the summit train through the entire cirque. After a steep slope, a more even intermediate stretch follows and after a small terminal slope, one is back on the groomed slopes. The operation of ski tours in the winter sports paradise of Zell am See-Kaprun is a long tradition. Accompanied by an experienced mountain guide you safely reach your destination. The snowy mountains in region of Zell am See-Kaprun in the winter exert a very special fascination on tour goers. Climb the mountain peaks surrounding the impressive Zeller along with the skiers and enjoy a breathtaking view of the surrounding mountain scenery and the subsequent journey into the valley off the groomed slopes - this is the finest ski tours in Salzburg, Austria. Ski touring in the region of Zell am See-Kaprun belongs in the cold winter months at the most popular sporting activities for locals and guests. Ski touring is one of the best full training - it trains your stamina, strengthens muscles and carefully reduces the body fat. Be enchanted as you walk in the moonlight through snowy forests and enjoy the untouched nature. When you go ski touring, however, always pay attention to the increased avalanche danger while traversing unprepared and steeper slopes. The team at the resort can inform you about safe routes and guided tours in groups. The Salzburg province enlivened your spirits and senses with its clean air and well-maintained environment and is a true paradise for ski tourists from all over the world. After a strenuous climb, you will be rewarded with the stunning images and an exhilarating descent through the soft powder snow. Away from the ski slopes you will find rest and relaxation when snowshoeing. Whether alone, in groups or with a guided snowshoe hike: Experience the nature of the holiday region of Zell am See-Kaprun in new ways. The healthy snowshoeing sport is easy to learn and is particularly beneficial to your body. The extensive winter hiking and snowshoeing offer of region of Zell am See-Kaprun offers to leave behind the daily routine and wholesomely enjoy the magnificent winter landscape of Salzburg. Enjoy the silence and seclusion of the winter landscape of the Austrian Alps on numerous marked trails, the glittering snow and the blue sky as well as finish your snowshoeing at a refreshing Bavarian snack hut. The calming forward movement on foot in the deep snow provides a unique and incomparable natural experience. Do not miss the gorgeous snowy winter landscape around Zell am See, to stomp with your snow shoes on the meadows, hills and even up to the soft peaks. Nordic Walking in winter is easy to learn and it trains your whole body in a special joint-friendly manner. The actual sport is popular among people of all ages and fitness levels. You create the balance and walk with two sticks at a moderate pace through the valleys and mountains of the region of Zell am See-Kaprun. Nordic Walking increases the pulse rate and thus achieves an optimum fat burning. The Zell winter hiking trails are ideal for leisurely afternoon strolls along with the whole family. The winter Nordic walking, ranging from simple lake rounds for beginners to steep slopes on the Schmittenhöhe for professionals. 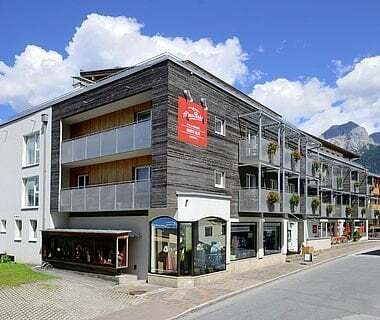 With the Sonnkogel and Areit cable cars you can reach the popular Schmittenhöhe in a particularly comfortable manner. A comfortable hiking trip from the Sonnkogel mountain station to Schmittenhöhe with the High Zell train is a particularly nice experience. Experienced hikers can continue to go with the Areit cable car III. Alternatively, you can also take the Areit cable cars I, II and III up to 1,900 m above sea level to have a view far beyond the peaks of the Alps. The summit can be reached after a mere hundred meters on the road along the snow boundary. Austrian ski instructors are world famous and sought-after. Use your winter vacation time in Salzburg to improve your skiing style or to ski along a slope for the first time. Do you want quickly and safely learn the art of skiing during your stay in the breathtaking region of Zell am See-Kaprun? 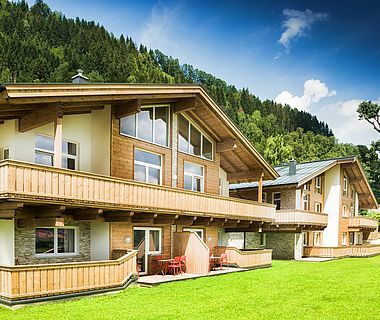 Then the Alpenparks resort in Zell am See is your perfect holiday resort. Whether you are an amateur or professional, skiing is always great fun. The state-approved teacher of the ski school of Zell am See, ambitiously takes the responsibility of making you fit for skiing down the runs. 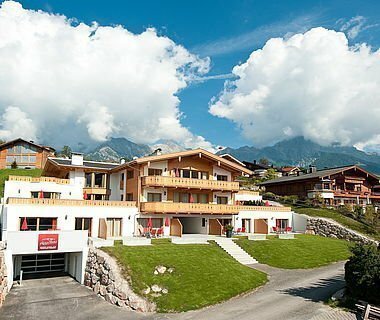 At the Zell ski school, each service corresponding to your courses is offered. 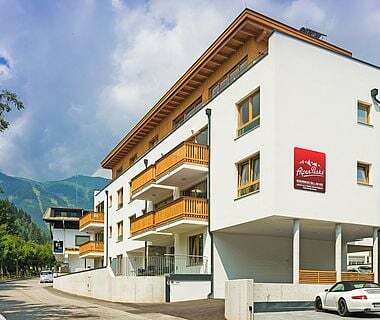 The offers include group classes, private lessons with its own private ski instructor, a school for children with group courses and individual instruction for children, a private kindergarten and a snowboard school. If you want to learn alpine skiing, then Zell am See is your ideal vacation destination. The Zell ski instructors are your contact persons at any time who are responsible for providing the required materials and advising you on suitable sports equipment for your performance level. You already master the art of skiing and simply want to improve your technique? The professionals will help you. The ski school Zell am See also offers courses for their own jogging training, training courses for slalom, giant slalom and super-G and coaching. 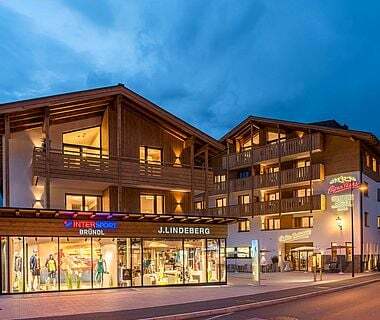 Just 200m from your apartment away there is the leisure centre Zell am See with a indoor ice arena and a indoor swimming pool.